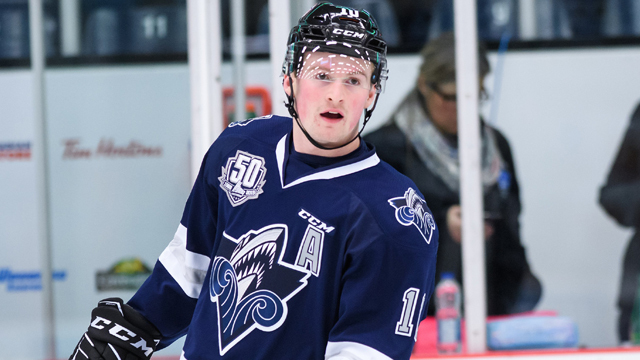 Lafreniere recorded consecutive four-point outings in a pair of games last week to help push the Oceanic’s win streak to 11 games and improve to a 36-14-3-0 record for second place in the QMJHL’s East Division. His week began Wednesday with a hat trick plus one assist and first star honours in a 5-4 victory over the Chicoutimi Sagueneens. The 2020 NHL Draft hopeful then followed up that performance two nights later with two goals and two assists in a 4-0 win against the Shawinigan Cataractes en route to another first star recognition at the outdoor Winter Classic. This marks the first time this season in which Lafreniere has been named the CHL Player of the Week, and the first member from the Oceanic to do so this year.